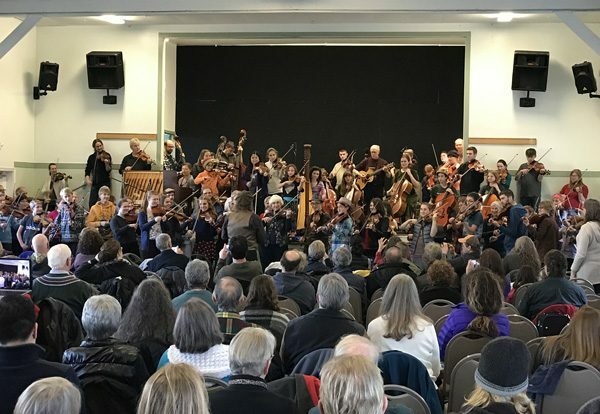 Alisdair Fraser and Natalie Haas came to Camp Casey in Coupeville on Whidbey Island to give a rousing round of Scottish music. Half of the concert was by the masters, and the other half included enthusiastic amateurs who had been learning in a workshop with Alisdair and Natalie. The large informal “orchestra” created some fun music, resulting in dancing through the aisles my many in the audience.